To be assured of obtaining the best quality advice about the opportunities available for studying in Canada, students should register with Acads Visa. After registration all students will be carefully guided through a number of key stages, maximising their chances of getting admission in the institutions of their choice. This is how we, at Acads Visa, work on the Canada admissions process. Currency: The official currency of Canada is Canadian Dollar (CAD$). 1 CAD$ = Rs. 49.07/- (Approx. as in 2015). Cost of Education & Living: The cost of education in Canada is between CAD$8000-20000 for Undergraduate Courses and between CAD$ 10000-25000 for Post-Graduate Courses. The cost of living is approximately CAD$8000–10000 per year, this covers all the living expenses; including accommodation, food, travel, books, clothes and entertainment. 4 yr Bachelors degree, 70% and above. Acads Visa is the one stop solution for all your Overseas Education needs. We are Overseas Studies/Education Consultants for Study in Canada. The Canadian education system is qualitative and ranks amongst the best in the world. The United Nations has ranked Canada as one of the best countries to live in. We provide complete guidance regarding Study in Canada. We assist our students for Coaching, Admissions and Visa, in short the entire process from start to end for Study in Canada. The combination of Canada’s natural environment and its reputation for high-quality education are just a few of the things that attract tens of thousands of foreign students to Canada every year. Foreign students choose to study in Canada because of the Canadian degrees and diplomas are recognized throughout the world. The 1998 Gourman Report, an independent USA report, scored 18 Canadian electrical engineering programs in the top 40 of such programs in North America. Canadian work experience is highly desirable by multi-national companies who actively recruit on Canadian campuses. Students coming to Canada have over 90 degree granting universities, 175 community colleges, several private language schools and many corporate training facilities to choose from. Canada spends more per capita on its education system than any other country in the world. As a result, Canadian universities and colleges offer lower tuition rates for international students than their counterparts in other countries. The cost of study in Canada is considerably less than the USA, Australia and the United Kingdom. Canada is a world leader in software development, telecommunications, aerospace engineering, urban transport, biotechnology, mining technology and environmental industries. Canada is probably best known for the stunning beauty of its natural environment. This is with good reason. 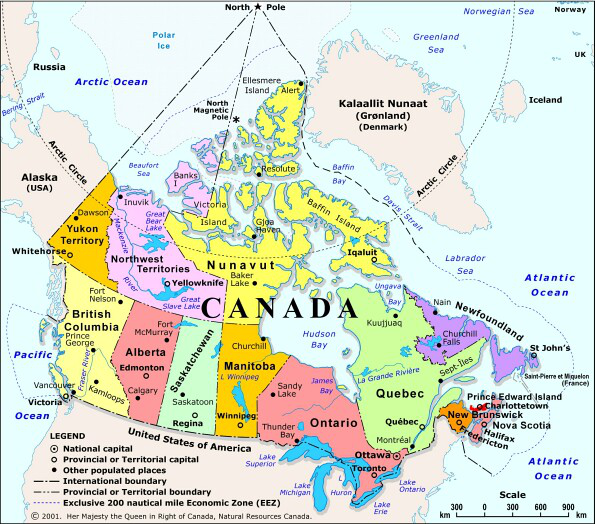 From coast to coast, Canada is a panorama of gorgeous mountains, lakes, rivers, forests, plains, and more. As a result, the country has an amazing range of outdoor activities that could keep even the most avid enthusiast satisfied for years. With that comes an absorbing history and the cultural diversity of a modern, eclectic nation. With roots in European traditions, particularly the French and British, the heritage in many cities is unmistakable. Add to that the influence of the United States and the many immigrants who have settled there, and Canada is a fascinating and fun mix. Each case is different and scrutinized individually and hence there is no standard or ‘foolproof’ procedure for obtaining visas. A prospective must be able to demonstrate the genuineness of his visit. A few examples of circumstances that applicants have submitted as proof of return are: evidence of a good job, sizeable finances or property, family and a good social standing. After you have received an unconditional letter of acceptance from a Canadian College or University, you are required to obtain a Study Permit. It generally takes 15 days for the Visa to be processed. Submit the completed application form along with the necessary documents to the immigration section of the Canadian High commission. 11) Proof of funds: You MUST demonstrate the purchase of a special (GIC) from a participating Canadian financial institution, in the amount of $10,000 CAD to cover living expenses for your first year in Canada.